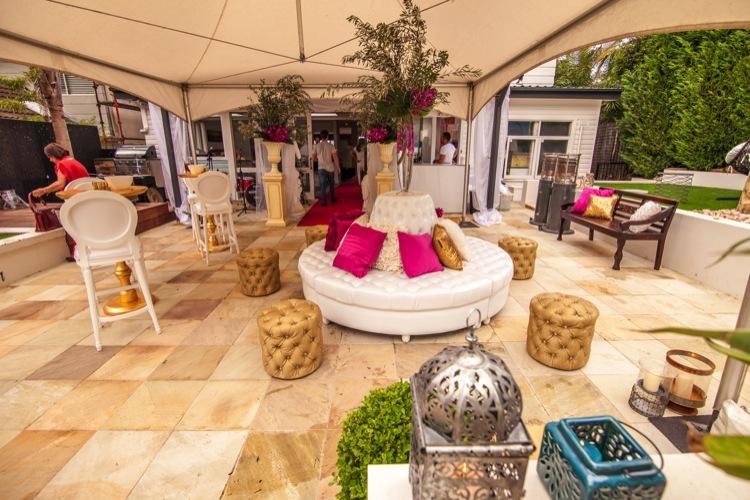 This beautiful private home was styled for a Greek Islands inspired birthday party. Colours of fuchsia, gold and white with statues and bougainvillaea. Mood lighting through the yard and giant inflatable swans on the pool. Guests were taken to Greece with bar tenders dressed in all white. Long Island Ice Teas and Champagne were flowing all night. The food was cocktail and an assortment of delicious canapés were served by waiters. 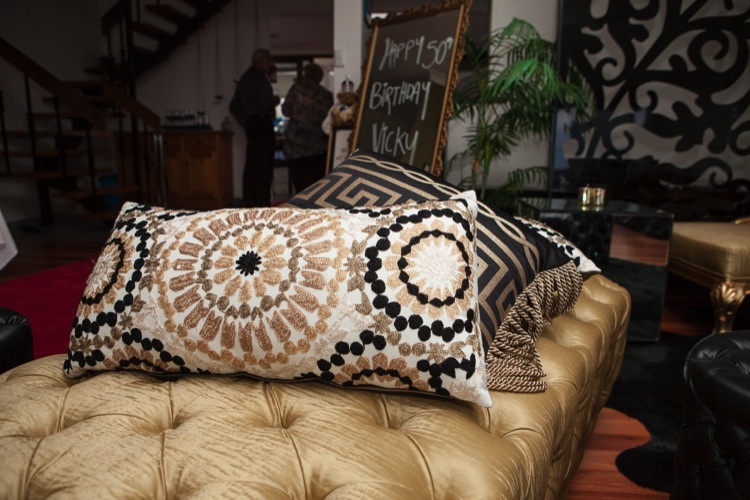 Furniture was luxe ottomans in white, gold and black with accents of fuchsia and gold. For entertainment there was a tarot card reader, cartoonist and photo booth. The party went well into the night and from all accounts was truly a night to be remembered.